The country’s most famous cocktail is back! Raffles Long Bar recently re-opened its doors after being newly restored during the first half of 2018. With the help of BCI Worldwide Asia, the Singapore Sling now returns to its rightful home at 1 Beach Road near City Hall at Raffles Hotel. 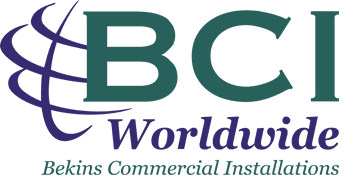 BCI Worldwide Asia was involved in carefully handling over 200 pieces of furniture (including the sofas, bar stools, dining chairs, host stands, & communal tables) from the manufacturer all the way to the Long Bar. Our services included the freight forwarding, local transportation, on-site project management, and final installation of every piece into its final resting place. For furniture suppliers & the final customers, once the product leaves the manufacturing facility, they can only hope that it arrives in the same condition as when it left. With the help of BCI Worldwide’s skilled team of workers, you no longer need to hope. We carefully handle each item and can provide rectification and touch-up works for any unexpected damages that may have occurred during the products’ journey. With BCI Worldwide, our customers are delivered the results they expect. Raffles Hotel first opened in the Lion City in 1887 and is named after the founder of Singapore, Sir Stamford Raffles. It gained the title of National Monument in 1987 and is known as one of the most iconic hotels in Singapore due to its appeal to international travelers and world famous bar & cocktail, the Long Bar and the Singapore Sling. 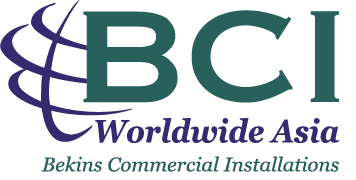 BCI Worldwide has operated for over 30 years throughout North America and Asia and specializes in Hospitality Logistics with a focus on hotel & commercial pre-openings and renovations. Contact BCI Worldwide today to let us assist in your upcoming project.